LONDON -- Car executives told British Prime Minister Theresa May on Wednesday that there was an urgent need for clarity on the proposed transition period after Britain leaves the European Union. The automotive industry has been heralded as a manufacturing success story by the government, with production reaching a 17-year high in 2016 and the sector employing over 800,000 people. But the overwhelmingly foreign-owned industry, dominated by India's Jaguar Land Rover and Japan's Nissan, is worried Brexit will add tariffs and customs checks to its exports, risking the viability of plants. BMW's board member for sales Ian Robertson, Aston Martin Chief Financial Officer Mark Wilson, Jaguar Land Rover CEO Ralf Speth, McLaren Automotive chief Mike Flewitt and Bentley boss Wolfgang Duerheimer were among those invited to meet May at her office on Wednesday. 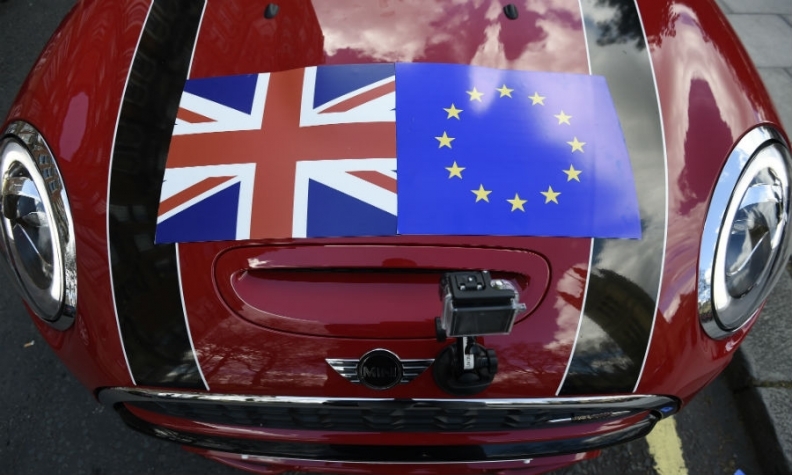 "The meeting focused on our members' Brexit priorities - in particular, the urgent need for clarity on the proposed transition agreement as business needs certainty to invest," industry trade body, the Society of Motor Manufacturers and Traders, said in a statement. Executives highlighted the importance of frictionless future customs arrangements, the need to maintain a common certification system with the European Union and access to European labor, a source present in the room told Reuters. The source said May and business minister Greg Clark did not offer guarantees but were aware of the issues at hand. "They can't make commitments because the negotiations aren't done," the source said when asked about what May said. "They understood and recognize it." At least one executive also said they had an upcoming investment decision to make, the source said. A spokesman at May's office said May and Clark repeated assurances that they would seek the best deal possible for the sector. "The prime minister and the business secretary reiterated the government’s aim for an ambitious economic partnership with the EU, as well as an implementation period that ensures businesses only have to adapt to one set of changes," he said.